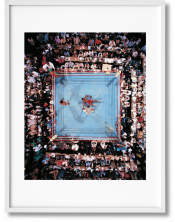 This dazzling tribute to Muhammad Ali and George Foreman’s 1974 boxing match in Kinshasa, Zaire, brings together the best of Norman Mailer’s classic commentary The Fight with color and black-and-white photographs from the two men who captured Ali like no one else: Neil Leifer and Howard L. Bingham. 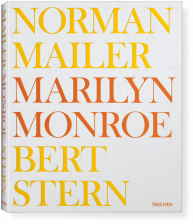 Observing them both was Norman Mailer, whose grasp of the titanic battle’s feints and stratagems—and sensitivity to their deeper symbolism—made his 1975 book The Fight a masterpiece of sportswriting. Whether analyzing the fighters’ moves, interpreting their characters, or weighing their competing claims on the African and American souls, Mailer was a commentator of unparalleled acumen—and surely one of the few intrepid enough to accompany Ali on a late-night run through the bush. Through The Fight he restores our tarnished notions of heroism to a blinding gleam, and establishes himself as a champion in his own right. 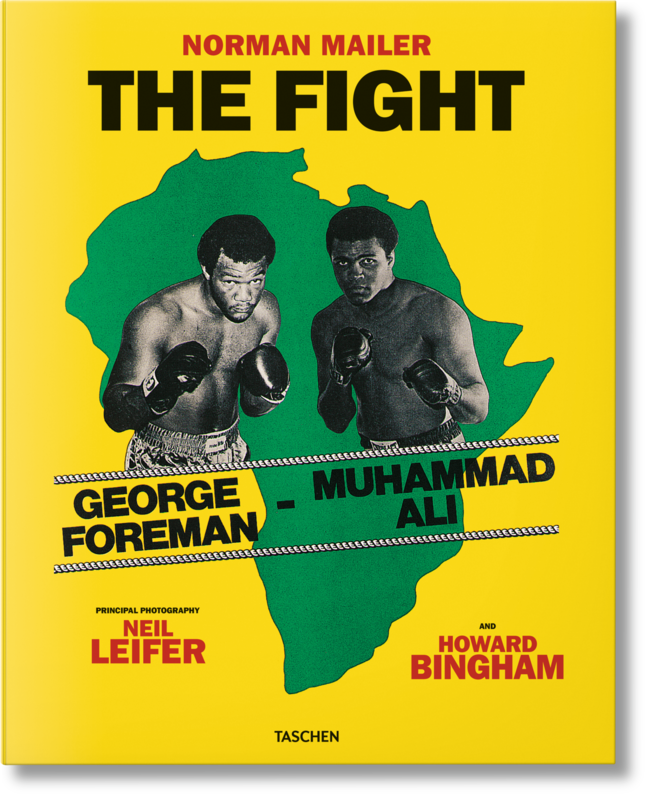 Four decades after its original publication, this new abridged edition of The Fight is introduced with an essay by Mailer scholar J. Michael Lennon and illustrated for the first time with principal photography by the two men who captured Ali and Foreman in the ring and in private like no one else: Neil Leifer and Howard L. Bingham. 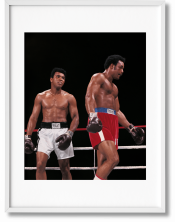 Widely considered to be the greatest sports photographer of his generation, Neil Leifer’s vibrant color coverage dominates from ringside. It also serves as a living testimony to the pageantry, sheer physical power, and deep psychological interplay of the fighters, their camps, and their controversial host, Zaire’s President Mobutu Sese Seko. 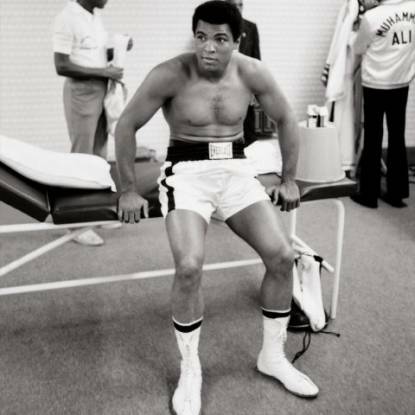 Behind the scenes, meanwhile, Howard Bingham was Ali’s constant companion, documenting his every move from the moment he stepped off the plane in Zaire, his daily training regime, right through to the dressing room tension as he prepared to face Foreman once and for all. 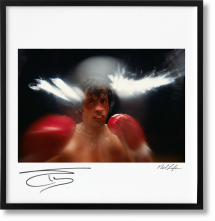 Together with pictures from other photojournalists, reproductions of Mailer’s original manuscript pages, and additional visual documentation of the media frenzy surrounding the “Rumble in the Jungle,” the result is a dazzling tribute to The Champ and a vivid document of one of the most epic, unique, and adrenalin-laced events in sporting history. 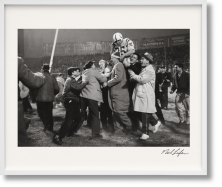 Native New Yorker Neil Leifer began photographing sports events as a teenager. 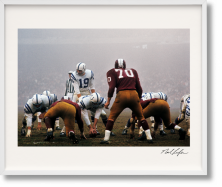 Over 160 of his pictures have appeared on the cover of Sports Illustrated and over 40 of his photographs have graced the cover of Time. 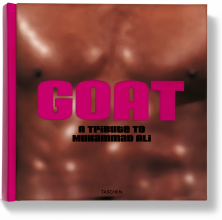 He has published 15 books, and was one of two principal photographers in TASCHEN’s tribute to Muhammad Ali, GOAT—Greatest Of All Time and the illustrated edition of Norman Mailer’s The Fight. Howard L. Bingham (1939–2016) first met Muhammad Ali—then Cassius Clay—at a press appearance in Los Angeles in 1962. 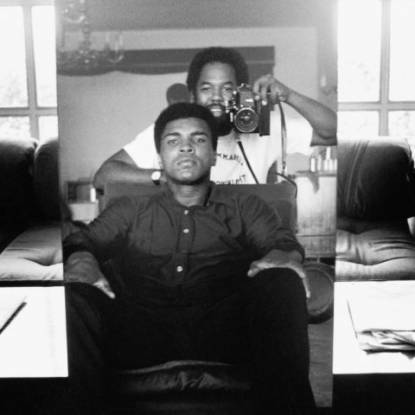 A year later, Ali knighted him his “personal photographer,” inaugurating a lifelong friendship and over a million photographs of The Champ both in and outside of the ring. Bingham also shot a significant portfolio of 1960s urban riots as well as portraits of other public figures as disparate as Adam Clayton Powell Jr., Malcolm X, and President Gerald Ford. His work was featured in magazines including Life, Time, Newsweek, Sports Illustrated, and Ebony.